Provide support to the Project Coordinator in the administrative part of coordination tasks, ensuring a smooth relation with local and national authorities,contributing to the context analysis and follow-up, providing translations and interpreting in order to ensure the smooth running of the project. Assist the Project Coordinator in the drafting of correspondences with authorities and counterparts (government officials, UN agencies, NGOs, etc.) in order to ensure fluent and accurate communication flows. the Project Coordinator with local authorities and partners to ensure the continuity of relations with local actors and involved counterparts. Translate documents and act as an interpreter when needed. and ways to render support if necessary. To inform the PC and/or PMR or medical team about newly referred patients for MSF OCA provided NCD services or about any legal issues that will require support from MSF OCA. Collect information from patients on their background, current situation, main protection challenges, access to healthcare and other services and plans for the future. Liaise with communities focusing on Syrian refugees, unregistered Syrian refugees and vulnerable Jordanians to provide orientation about MSF and the services provided and contribute to identify special needs. Coordinate as focal point for external communication as requested by PC. Collaborate closely with the medical team to complement activities and additional support needed during the process of patient care. Actively participate in MSF meetings and trainings. Contract: Six month fixed term contract with the possibility of switching into an open ended contract based on the overall performance & operational. Essential previous working experience of at least two years in research, analysis and advocacy. 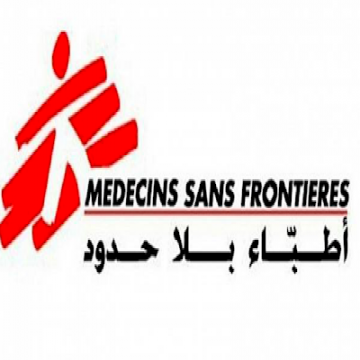 Essential experience with MSF or other NGOs. The Admissions Officer will be part of a team supporting the delivery of the QRTA’s Education and Student Experience strategic ambitions, which are themselves vital to achieving QRTA’s overall corporate aims. The role is a new role, to a newly established initial teacher education provision in Jordan. the Admissions Officer will be expected to carry out the responsibilities outlined below to ensure that the recruitment of Student Teachers is conducted efficiently and in a timely manner, that effective processes are in operation, that accurate records are kept and that recruitment targets are met. 1. Manage the admissions processing of the Initial Teacher Education Diploma (ITED) at QRTA, applying agreed criteria to make admissions decisions, consistently and fairly. 2. Communicate effectively with all relevant stakeholders, incl. handle telephone and email enquiries from prospective student teachers, their parents and/or partners, Ministry of Education (MOE) enquirers and advisers independently and in a timely and professional manner. 3. Process incoming applications for the ITED and carry out eligibility and compliance checks including checking qualifications, the validity of decisions and authenticity of results. 4. Enter decisions and generate offers using the electronic systems so designed, and other data bases with the aim of 100% accuracy. 5. Monitor the responses of applicants to decisions and provide data and written reports to the Academic Registrar and Programme Director on applicant status and workflow as required. 6. Ensure the correct procedures are followed when dealing with fraudulent applications, applicants with criminal convictions and under-age applicants. 8. Liaise regularly with both academic (including Teacher Educators) and administrative staff. 10. Observe confidentiality in dealing with applicant data. 11. Handle all enquiries in a courteous and helpful way; these may be by telephone, email, letter, fax or in person. 12. Monitor the data spread sheets generated by the system and help collate data relating to all admissions enquiries. 13. Assist with QRTA Open Days and attend marketing events at universities and schools as required. 14. Represent QRTA at teacher education conventions and conferences. 15. Assist with the production and distribution of publicity materials and updating of web pages. 16. Assist with the monitoring and updating of all information relating to admissions. 18. Maintain a tidy and organised work area. 19. Assist with the provision of on-the-job training for new staff as the programme expands. 20. Liaise with colleagues carrying out similar functions for the in-service courses. 21. Filing, photocopying, ordering stationary. 22. Attend and minute meetings. 23. The post-holder may be asked to help other professional/administrative staff and undertake duties as requested by the Academic Registrar from time to time. 1. Bachelor’s degree in Business Administration or similar. he Warehouse Senior officer position is a senior position reporting to the Procurement & Logistics Manager; S/he is required to organize and manage all the operations in the storeroom. In this position, the storekeeper shall play a key role in the proper care and maintenance of the stock, including ordering, receiving, and managing inventory. This is a full-time position. Standard days and hours of work are Sunday through Thursday 9:00 a.m. to 5 p.m. However, this position might involve staying afterhours for the receipt or handing goods, also, the position requires the physical ability to lift heavy items above and below shoulder height, and perform continuous standing, walking, reaching, and bending. 6. Plans and performs work that involves ordering, receiving, inspecting, returning, unloading, shelving, packing, labelling, delivering, and maintaining a perpetual inventory of forms, office supplies, and various types of equipment. 7. May participate in the selection, training and supervision of subordinates, when applicable. 13. Perform any required job of his/her direct manager. 1- Monitor and assist other departments’ managers/supervisors with hiring processes. 2- Coordinate and conduct applicant, reference checks, and social security number verification. 3- Maintain applicant flow, orientation and transfer request logs. 5- Assist with orientation of new employees. 6- Monitor all hiring and recruitment processes. 7- Ensure accurate maintenance of all employee records and files (e.g., interview documents). 8- Create and maintain filing for recruitment. 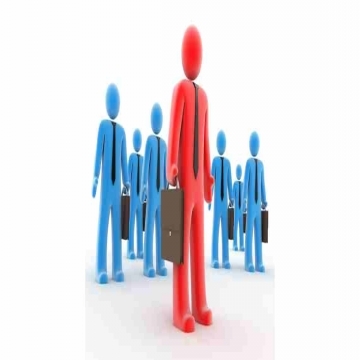 10- Handle interviews Agendas in coordination with all the interviewers. 12- Maintain confidentiality of proprietary information. 20- Other duties as assigned. 2. Strong skills in the use of software applications to support document development and preparation. Offers general consultations for people who are working or studying in the lab. • Provides instruction to all lab users on proper use of all equipment. • Consults supervisors on more difficult issues. • Ensures that computer lab equipment is being cared for properly by users. • Makes sure food and beverages are not consumed in close proximity to computers. • Monitors files and programs that are downloaded on to the computers to make sure spyware, malware and other dangerous programs are not downloaded. • Diagnoses hardware problems and fix them or contacts the appropriate engineer to correct the problem. • Supplies reference materials to help users learn how to use particular programs. • Conducts regular maintenance on the computers in the lab. • Maintains inventory of supplies, places orders and records of maintenance activities. • Performs regular software backups. • Changes toner in printers adds paper and otherwise ensures proper functioning of all printers in the lab. • Sets up and shuts down the lab according to work hours. • Guides lab users to safety in the event of a fire or other emergency. • Strong knowledge in lab management system like NetOp. • Has a good knowledge of interactive whiteboard software and can support users with technical knowledge as required. • Works closely with academic programme leads to ensure appropriate software is procured, maintained, used and evalauted. • Stays abreast of developments in educational software and keeps subject leaders informed of innovations. As of July 2018, Jordan is the country hosting the third largest number of Syrian refugees with above 650,000 registered with UNHCR. In Jordan, the first response to the needs of the refugees was carried out by the host communities alongside Jordan civil society and charity organizations. However, the constant influx of people put significant strains on the already weak economic situation of the Jordanian population in the areas of refuge, with around 79% of the refugees living outside of camps. Refugees struggle to meet their basic needs, relying on dwindling savings, growing loans, humanitarian assistance and resorting to negative coping mechanisms. 2/3 of the Syrian refugees live below the poverty line, with rent being their major expenditure. Addressing fundamental needs of the most vulnerable refugees and Jordanians is a priority to be achieved through improved access to health for most vulnerable groups, psycho-social support for the most affected population, proposing alternative education for children out of school, improve living conditions for households in substandard shelters and supporting access to legal documentation (and thus to services). 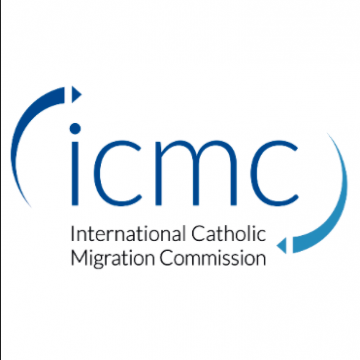 Until 2020 at least, refugees and host communities will continue to co-exist and while tensions are rising in the communities, it is paramount to empower the communities to bounce back ensuring i) social cohesion, ii) development of sustainable economic opportunities and iii) support to public services. Since 2013, PUI has been responding to the needs of most vulnerable populations affected by the Syria crisis in host communities. Support initiatives at community level to ensure social cohesion and economic empowerment opportunities for most vulnerable populations. The three pillars of PUI’s Community Programme that encourage social change include a) Knowledge and awareness raising of women, girls, boys, men and community leaders related to health, importance of education, prevention of early marriage and child labour/abuse, rights and promotion of services uptake, b) provision of services (informal education, PSS counseling, life-skills activities, health promotion and postnatal visits, case management including referral and follow-up) and alleviating measures such as cash transfers for reproductive health or education c) strengthen the capacities of community and local actors. Following the GoJ decree issued in January 2018 revoking subsidiaries on public health services that were granted to Syrian Refugees, PUI has launched an emergency reproductive health project. This ECHO-funded project aims at improving access to health services and reduce the risk of mortality and morbidity within women and child population in the 4 governorates of Balqa, Madaba, Jerash and Ajloun. The project is supporting vulnerable pregnant women in Jordan (both Refugees and host community) by providing them with a tailored follow-up, cash assistance and awareness session. The program also enhances coordination with national and local health actors. The Project Officer is responsible for the successful implementation of the project under the direct supervision of the Project Manager, and with the technical support and supervision of the community medical advisor. He/she ensures achievement of set objectives, respect of quality standards, and efficient mobilization of resources (HR, logs and financial). S/He coordinates closely with the project team, the health partners of the area of intervention, and with the CBO partners. S/He provides leadership to the project implementation while ensuing participative approach and result-oriented methodology. S/He addresses promptly any challenges that might arise. PROJECT IMPLEMENTATION: S/He ensures the good quality of project implementation, facilitate its planning and smooth completion and coordination. MONITORING AND REPORTING: S/He participates in the Monitoring of the project and production of relevant information and report about the activities implementation. TEAM SUPERVISION, HUMAN RESOURCES, AND CAPACITY BUILDING S/He manages and supervise the team under his/her responsibility. S/He participates to their recruitment and provides capacity support as appropriate as well as team and cultural inclusion. She/he is responsible for the activities implementation and follow-up of the project in his/her area of intervention, ensuring quality of the services provided. Under the supervision of the Project Manager, she/he participates in the elaboration of tools and guidelines regarding community health and protection mainstream. She/he participates in the elaboration of support materials to be used by the team to ensure the high quality of their assignments. She/he follows the project action plan with his or her staff and review it with her/his manager periodically accordingly with the project monitoring feedback from project, partners and/or other departments within PUI. She/he ensures in her/his area of responsibility the continuous activities’ follow-up and makes sure that activity implementation is in-line with the work plan, the Project Monitoring Tool and other relevant project tools defined with her/his manager. She/he alerts the Project Manager about any delay or challenges faced by the project implementation for adjustments to be made and she/he proposes solutions. She/he informs her/his manager of any relevant issue related to the project implementation or the respect of PUI policies by field teams under his/her supervision, ensuring that proper policy, standards & codes of conduct are enforced. She/he participates to the harmonization of efforts between the different areas of responsibility, including weekly coordination meetings to capture common challenges and lessons learned. /he studies and implement correctly donor’s guidelines and internal PUI technical procedures and standards regarding activities implementations including logistic and financial process. /he supervises and participates to the appropriate coordination with CbO’s in order to ensure the relevance and the acceptance of the project. She/he participates to the beneficiary’s identification and selection by providing clean database and checking the distribution status for all beneficiaries and financial assistance of all beneficiaries. She/he liaises with the MEAL Team Leader and the Cash Program Specialist in order to ensure that all information needed are available and relevant. She/he is responsible for collecting all documents from beneficiaries related to cash distribution source of verification and sharing them with the Cash Program Specialist. She/he follows the SoP’s related to all project activities implementation and participates to their update or creation if need be. She/he provides inputs as necessary for reporting of field staff activity in order to collect accurate data on all activities and makes sure that all indicators are correctly documented. She/he ensures that all activities have clear monitoring tools, framework and reporting mechanisms. She/he ensures that activity progress is efficiently monitored through the regular collection and analysis of qualitative key indicators and field reports. She/he writes monthly reports on the activities implemented as requested by the Project Manager according to the project and management indicators. She/he supports the consolidation of monitoring reports and documentation as set in the logframe sources of verification. She/he assists the Project Manager in providing sufficient and detailed information for project reporting to donors and PUI Coordination team. Based on the on-going monitoring of the activities, she/he ensures lessons learnt and success stories from the project are documented and reported to her/his manager. She participates to the recruitment of his/her staff. S/he manages interpersonal relationships between direct reports and strives to prevent and mitigate tension or conflict in a professional and respectful manner. S/he participate in the identification of training needs, recommends training action internally or externally and participates in their provision and/or organization. S/he ensures safety information concerning the area is properly collected, and that alerts or useful information are communicated in an appropriate way following the mission security tree. S/he makes sure that PUI safety rules are followed in her/his area of responsibility. S/he also alerts the Project Manager if gaps are observed in order that corrective action should be taken. She ensures that internal PUI guidelines and standard as PSEA, anti-fraud, child protection is known by the staff under his/her management and reports any problems faced in the field. She/he proactively organizes coordination meetings with the project team and with PUI partner staff for regular and ad hoc coordination efforts. She/he organizes regular meetings with PUI Partners to share information on the activities, to follow-up on the work plan and the achievements in the Project Monitoring Tools. She/he represents PUI and participates in bilateral and multilateral meetings in the field to strengthen PUI’s coordination and referral pathways. Under the supervision of the Project Manager, she/he represents PUI during external meetings and coordinate with Partners in the field as necessary. She/he provides to the Project Manager minutes of all meetings attended and raises any issue that is in PUI interest. She facilitates the coordination with Jordanian authorities when necessary. She/he implements the internal referral system between departments and the external referral system with partners and other agencies on the field. She/he supports the follow-up of specific cases referred and liaises with the referral agencies. She/he helps developing partnerships with relevant national and/or international organizations to create new external referral possibilities. She/he follows-up on new external referral opportunities, new potential partners or changes in the policies procedures related to people of concern’s protection and health and share the information with her/his manager. She/he is the focal point for referral received by PUI. She/he makes sure that every case is handed-over, handled and followed-up by the team in the field, and always provides feedback on the assistance provided to the agency Partner. She facilitates the communication within his/her team and other team projects as well as with the coordination team. She/he participates to the mission development by gathering and sharing all relevant information and feeding analisys of the context and the needs. She participates in the needs assessment when required. University degree in Humanitarian Action, Health, or related disciplines. Mandatory a minimum 3 years previous experience in project implementation in the Humanitarian Sector. An experience in a similar position would be considered a strong asset. Experienced in Case management, education projects, community health projects and psychosocial activities would be an added advantage. Fluent in English and Arabic, oral and written. Strong organizational skills and good ability to make proactive suggestions. Excellent diplomacy skills with the ability to influence and negotiate. Driving license mandatory and must be able to drive PUI vehicles. Please state the job title “Health Project Officer and your name" in the email subject line (applications that don’t have this reference will not be considered). Deadline for applications is 31/5/2019 . Applications that do not meet the specified minimum requirements, or received after the closing date will not be considered. Candidates will be shortlisted on a regular basis and tests and interviews might be conducted before the deadline. Please kindly note that only short-listed candidates will be contacted. PUI strives to be an equal opportunities employer. PUI is committed to equality of opportunity and to non-discrimination for all job applicants and employees, and we seek to ensure we achieve diversity in our workforce regardless of gender, race, religious beliefs, nationality, ethnic/national origin, sexual orientation, age, marital status or disability. All employees are expected to abide by the humanitarian principles, the Code of Conduct, PUI Charter and PUI above mentioned values. Across northern Jordan, IRC assists Syrian refugees and Jordanian host communities in achieving improvements in economic wellbeing, health, and safety. IRC operates in Amman, Mafraq, Zarqa and Irbid governorates, with offices in Amman and Mafraq; programming includes women’s protection and empowerment, livelihoods, and primary and reproductive health care. IRC also operates specialized child protection programs for unaccompanied and separated children in the country’s two largest Syrian refugee camps, Za’atari and Azraq. IRC Jordan’s portfolio is currently approximately $25 million. The Deputy Director, Operations (DDO) plays a key role in the overall leadership and management of the IRC Jordan program. The day to day portfolio will include direct supervision of the operations teams including Supply Chain, Cash Unit and support to field level management, working with the Finance department and the Country Director (CD) on overall financial management. Secondary responsibilities will include working with the CD and program teams to ensure quality program support services according to IRC principles and donor guidelines and that these services are completed in a timely manner and within budget. Reporting to the Country Director and serving as member of the Senior Management Team (SMT), the Deputy Director, Operations is expected to contribute to organizational strategic thinking, planning, and overall coordination efforts. This position has close working relations with the Finance Controller, Deputy Director Programs, Grants Coordinator as well as other program and region-based staff. Coach, train, supervise and mentor direct-report staff, including communicating clear expectations, setting quarterly performance objectives, providing regular and timely positive and constructive performance feedback, and providing documented semi-annual performance reviews. Hold high-quality meetings with each direct report on a regular and predictable basis, at least bi-weekly. Promote and monitor staff care, well-being and self-care; approve and manage all time, attendance and leave requests to ensure adequate departmental coverage. Offer leadership support for successful adherence by staff to IRC’s country and Global HR Operating Policies and Procedures. Verify that Supply Chain policies and procedures are documented, disseminated and consistently applied across the country program. Ensure that compliance monitoring processes are developed and effectively implemented. Assist the Supply Chain staff in developing and managing appropriate coordination mechanisms to ensure that all operational units are interacting well with each other, as well as with the Regional Unit, Global Supply Chain (GSC), the Country Office, across different field sites, and other IRC support entities. Assist supply chain staff in partnering effectively and cooperatively with other units to improve planning and resource utilization. Work with program staff to ensure procurement planning and identification of operational support needs. Ensure full proactive involvement of key processes with the finance department including Budget Versus Actual (BVA) report input and necessary information for operational budget accuracy. In collaboration with the Finance Controller and CD, ensure systems are streamlined between HR, Administration, Supply Chain, Finance and Programs. Provide input including operational risk analysis and recommendations to the Country Director and Finance Controller related to operations spending and effectiveness of in-country reporting and planning systems. Review the workload/priorities for the field operations team on a weekly bases (during the field visit), in order to ensure that priorities are met and resources are available to meet these priorities. Provide support to all field and program teams to ensure all field offices are functioning efficiently and transparently and in compliance with IRC procurement guidelines. Work with CD and DDs to identify opportunities for program expansion and support development of funding proposals. Work with the CD and DDs on the Country Program Strategic Planning process. Provide added support to program coordinators as required. Eight or more year’s progressive management and leadership experience with a leading INGO or International Organization. Bachelors degree in relevant management or technical field. Master’s Degree in relevant field strongly preferred. Experience managing country program teams with a diverse portfolio; knowledge of major donors (including USAID/PRM, ECHO/EC, DFID, UN Agencies). Strong background in Supply Chain and Logistics. Excellent leadership, people management, interpersonal and negotiation skills and a demonstrated ability to develop harmonious teams in cross cultural context. Strong diplomatic skills. Ability to establish good working relationships with partners, donors and other stakeholders in a sensitive environment. Top-tier written, presentation and verbal communication skills; ability to convey information effectively in English and Arabic. Excellent management, interpersonal and negotiation skills and a demonstrated ability to promote harmonious/cohesive teamwork, in a cross cultural context. Proven ability to plan long-term, organize priorities and work under administrative and programmatic pressures with detail orientation and professional grace. Highly collaborative and resourceful; ability to establish positive working relationships with senior level management and all other stakeholders to maximize cooperation and productivity. Very strong proficiency in MS Word, Excel, Outlook and PowerPoint is required. English and Arabic fluency required. The position is based in Amman with weekly travel within the country, and occasional international travel. Prepare cash forecast and Cash Transfer. Other Internal and/or external contacts: describe the nature of departments or groups the position influences or requires support from to accomplish objectives. Approximately one year of relevant experience in professional accounting experience preferably with an INGO. Very good command in Arabic and English, both writing and speaking. Job Overview/Summary: The Field Finance Officer in the Amman Office performs the day-to-day finance operations. He/she works with the Field Finance Manager in the maintenance and oversight of the accounting operations to ensure that all finance operations in Amman are performed in accordance with IRC and country office policy and procedures. 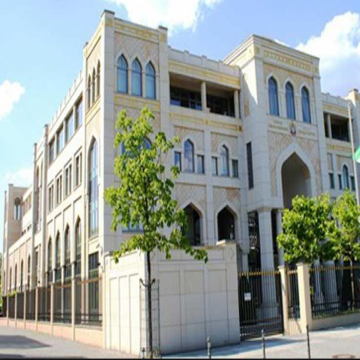 Manage all aspects of day to day operations of accounting department inside Syria. Assist in the implementation of Finance policies, procedures and systems. Verify completeness and accuracy of all accounting documents. Filing all finance records and make it available for internal /external audit and review, and trace all documents (PRs, payments, checks, and service requests). Keep up to date records for staff program advances, and follow up with them to liquidate advances. Liaison with Supply Chain, HR and Programs. Verify payments with paying attention to all Purchase Orders and Purchase Requests for proper coding and budget adequacy. Maintain Payment register for all payments received and payments returned, to make sure that there is no long outstanding payment as well as payments are not missed/lost in process. Focal person for All field payments sent/received to/from Amman and to ensure that Amman process payments within given time period. Participating in the month end closing and prepare necessary JV’s as required/requested. Reconciliation of accounts and preparing the balance sheet reconciliation and Hawala reconciliation. Any other task assigned by supervisor(s). Computer literate with significant experience in MS. Office, accounting package knowledge (SUN system) will be an added advantage. Previous experience with International NGOs and/or USAID projects is highly desirable. Excellent skill with MS. Excel is a preferable. Ability to prioritize among multiple tasks and make decisions. Working Environment: Preferably working in a multinational organization and INGO sector is a plus. The Syria crisis is often described as the worst humanitarian catastrophe since the end of the Cold War. Inside Syria, 6.1 million people are internally displaced and 13.1 million are in need of humanitarian assistance, with three million in hard-to-reach areas. There are 5.4 million Syrian refugees in neighboring countries. This is no short-term humanitarian episode. The devastating human consequences to huge numbers of people will endure for decades. The destruction of relationships, communities, livelihoods, homes and infrastructure will take years to repair. Job Overview/Summary: The Assistant is in charge of the finance filing, scanning document, hard copy of document, auditing processes with finance staff, ensure the finance department to be efficient and effective processing of the financial documents. 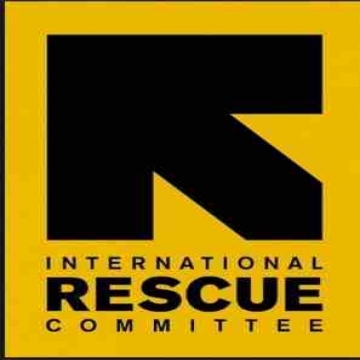 The Finance Officer will have a thorough knowledge of IRC financial and administrative policies and procedures. Liaise with bank for all funds and payment transactions from IRC bank accounts and any other activities between bank and IRC: funds receivable, payment processing, cash withdrawal from the bank accounts, money conversion, bank statement, information regarding bank fee, bank signatories, bank documents update etc. Processing approved bank and cash transaction and/or payments after ensuring information included in payment documents are accurate and in line and compliance with IRC and donors rules and regulations. Ensure bank payments are processed within 24 hours and check with bank if any delay. Prepare and update bank and cash worksheet on a daily basis. Ensures mathematical accuracy, accuracy of codes used and that all transactions information are in line with payment documents approved. Send bank and cash worksheet to Senior Finance Officer for review as required but no less than once a week. Compare bank statements with bank worksheet and inform SFO if any errors. Follow up to obtain the required approvals for payments as per the approved authority matrix. Help for audit process for submitting documents to auditors and assisting all audit process with Assistant Finance Controller. Maintain good documents filing system for an effective audit trail. Assist for day to day scanning and hard copy of finance document. Follow-up reconciliation process supervising with Senior Finance Officer during fiscal year. a.Supporting daily activities in the Accounts department. a.Attend and actively participate in trainings identified/organized by your supervisor. c.Report any violations of the IRC Way: Professional Code of Conduct. d.Perform other duties as may be assigned by your supervisor. Bachelor’s degree in Accounting, Finance or advanced Diploma in Accounting from recognized College/Institutions. Minimum of one years of accounting experience. Experience with an NGO or International NGO preferable. Proficient in MS suite applications; significant experience in MS Excel, accounting package knowledge (SUN system) will be an added advantage. The candidate should be mature and comfortable in a multi-cultural work environment, work well in and promote teamwork and able to handle pressure with professional grace. Able to work independently, make decisions and exhibit flexibility. As the official representation of Switzerland accredited in the both the Hashemite Kingdom of Jordan and in the Republic of Iraq, the Embassy covers all matters concerning diplomatic relations between the two countries. It represents Swiss interests in the areas of political, economic and financial affairs, humanitarian aid, development cooperation, legal arrangements, science, education and culture. The Communication Officer of the Embassy is responsible for the external image of the Embassy of Switzerland in countries where it is active (mainly Jordan and Iraq, but also Lebanon and Syria with regard to humanitarian aid). He/she contributes to building a positive image of Switzerland in the Middle East. Furthermore, he/she actively supports the Head of Diplomatic Affairs in the conception and implementation of cultural activities of the Embassy. Ø Knowledge of other languages, in particular French and German, is an asset. Ø Relevant network of contacts in the field of media and/or culture is an asset. Ø Experience abroad or within an international environment is an asset.